The Nuclear Regulatory Commission on Wednesday agreed to temporarily delay issuing a new operating license for Seabrook Nuclear Power Station, a massive 1,244-megawatt generator owned by NextEra. In a notice, the NRC said it would delay relicensing the coastal New Hampshire plant through 2050 until the commission meets with the public. 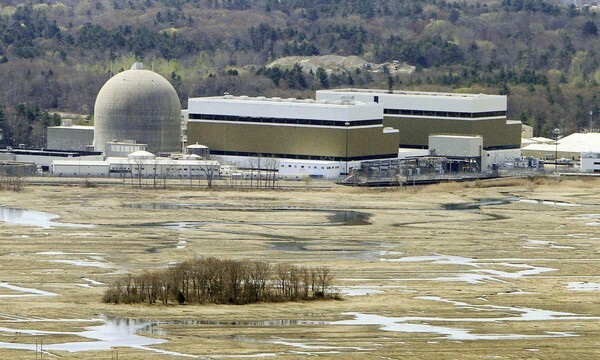 Last week, congressional delegates from Massachusetts and New Hampshire wrote to the NRC seeking a delay until a hearing can be held this summer on problems with the plant’s structural concrete. The concrete suffers from alkali-silica reaction, or ASR. The swelling and cracking was identified by plant operators in 2009. NextEra developed a plan to manage and monitor the deformation, a plan that the federal commission has accepted. A hearing on the concrete problems, to be held before a panel of administrative judges, is set for this summer. A nuclear watchdog group, the C-10 Research & Education Foundation, plans to challenge NextEra’s plan for managing the ASR……..